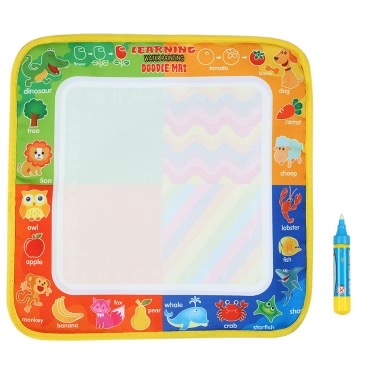 This mat will create fabulous doodles and images to the amazement of your children. 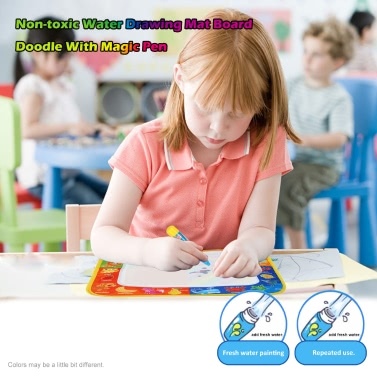 You don't need any ink, just using the magic pen filled with water and create on the magic mat. 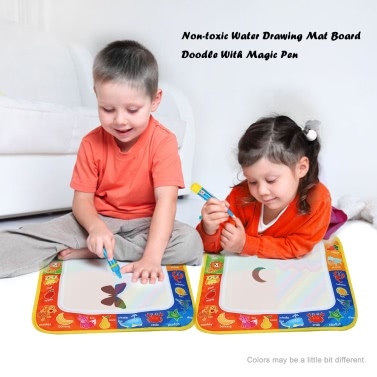 Kids will be fascinated as the colorful images spring up, and slowly fade away so that kids can use the mat again and again. 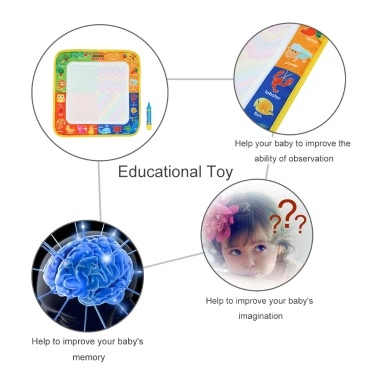 A perfect toy for your little kids! 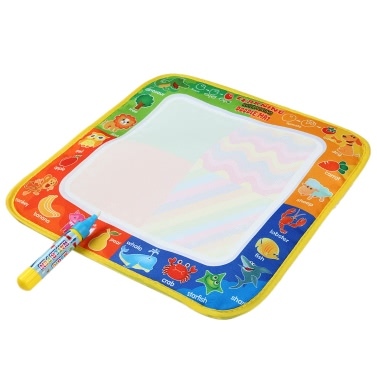 The little coloring pen just fills up with water which can't hurt baby and then they draw a picture on the mat that has color variations throughout. 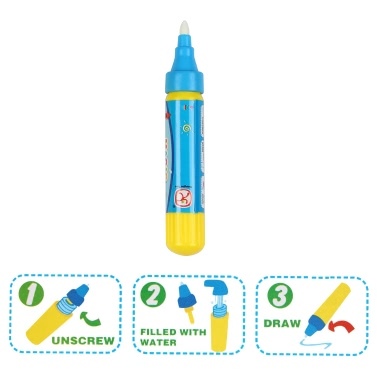 Simple to use, you only need to fill the pen with water, and the drawings will magically disappear in few minutes ready to doodle again. 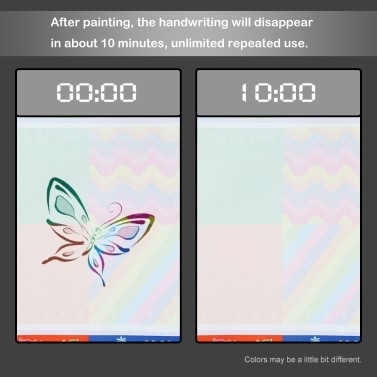 It only creates colors on the drawing mat. Anyplace else, it does nothing obviously. 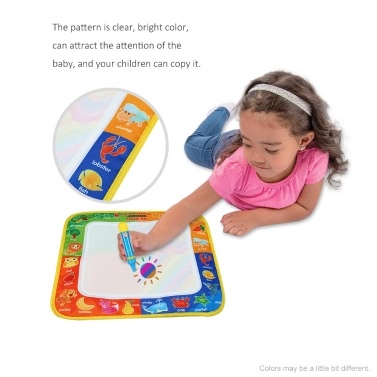 The mat will be perfect to take on airplanes, car rides and anywhere. 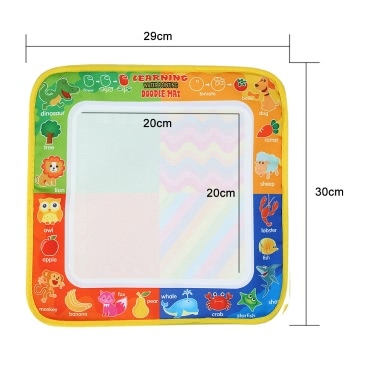 Note: This product must be used under adult supervision. Plastic bags can be dangerous. To avoid danger of suffocation, keep this bag away from babies and children.